When I set out to write a blog about Tremayne Quay on the Helford River, it was with the intention of highlighting the exceptional beauty of its location so that our guests could add it onto their "to do" list whilst visiting the area. Little did I know that I would uncover such a jewel of Cornish history involving Queen Victoria, a princess & personal diaries written in code. So let me start with my original intention to introduce you to Tremayne Quay on the Helford River. Actually it's not only the quay, but also the Tremayne Woods and boathouse that need introducing, all of which (buildings and landscape) are now listed and owned by the National Trust. Tremayne Quay is located on the upper reaches of the Helford, up beyond Frenchman's Creek and on the shoreline of Trelowarren, home to the Vyvyan family since the reign of Henry VII. It's location is simply idyllic, and today it is one of the few public quays on the upper reaches of the river, with public access right down to the water. Tremayne is a popular place for recreation, quiet enjoyment and having fun. Whether it's walkers stopping to enjoy the unspoilt views up and down the river, boat users pulling up for a BBQ or overnight stay, anyone wishing to experience the wonderful solitude of the river at night with a camping trip, or by day at high tide with a picnic. It also happens to be a twitchers paradise as the rise and fall of the tides on the Helford River brings an abundance of estuarine birds. A pilgrimage to this location leaves you with a sense of tranquility and of times gone by. It's a place for everyone and hopefully for ever. Historically, Tremayne has always been associated with Trelowarren Estate. Whilst there is no doubt the site was formerly the landing stage for Tremayne House, the present structure dates from 1847. Built by Sir Richard Vyvyan, eighth Baronet in preparation to receive the Royal Yacht carrying Queen Victoria and Prince Albert on a visit to Trelowarren. Allegedly Sir Richard had fallen rather heavily for one of the royal nieces and the invitation was no doubt to impress "aunty" and fuel Sir Richard's raving hunger for ambition and success as a Tory politician. Clearly no expense was spared to impress HRH as the quay's stonework is of very high quality. Dressed granite quoins and copings with a fine flight of steps fit for the royal disembarkment and situated in one of the most beautiful stretches of the Helford River. 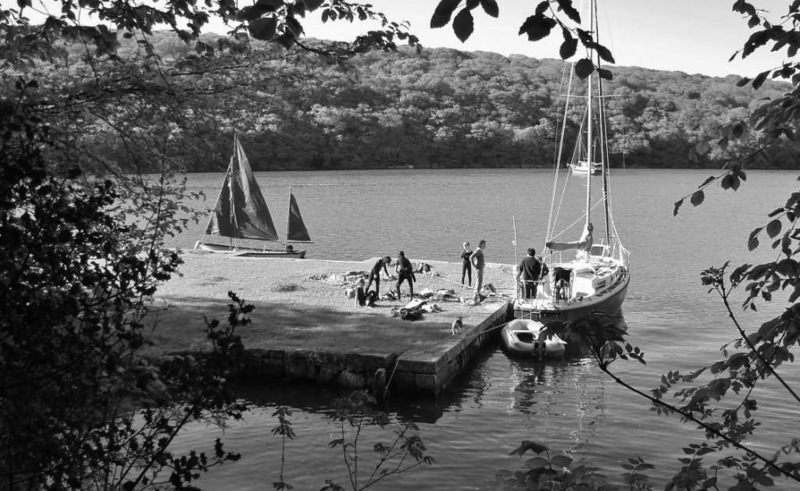 In addition to the quay, Sir Richard commissioned a new boathouse for the royal barge and over one mile of new carriage drive from the quay on the Helford River to the nearest road. Not satisfied with the native sessile oak woodland through which the new drive ran, a beech avenue & plantation was planted to further impress HRH. It is these same beech trees today that the Vyvyan family are so keen to preserve and not revert back to native oak woodland, with the view that Sir Richard not only designed a picturesque landing but the landscape as well. Unfortunately though for Sir Richard his efforts to keep up with the Jone's failed. Queen Victoria declined to make the trip, allegedly because of bad weather and so never disembarked at Tremayne Quay; nor did The Royal Yacht set sail up the Helford River. Ironically, Sir Richard's efforts did not go entirely unnoticed by royalty as Queen Victoria's grandson, Edward, Duke of Windsor, favoured the quay with a belated royal visit in 1921 when he was Prince of Wales. According to the then Lady Vyvyan, the fledgling Edward VII was "charming". Unfortunately he had a yacht hanging about offshore and on board was Wallace Simpson and almost before the tea cups had been dried he had abdicated. Interestingly, the only known official visit Queen Victoria made to Cornwall was in 1846 when the Royal Yacht sailed into the harbour at St Michael's Mount and anchored. There is a brass plaque on the harbour to show where the Queen stepped foot ashore. So here endeth the primary objective of this blog, to entice anyone in the vicinity of The Lizard along to Tremayne Quay, preferably on a high tide, unless spotting rare birds in an on estuary flats is your thing. Now starts the jigsaw puzzle that is Sir Richard and the building of Tremayne Quay. Born in 1800 at Trelowarren, Sir Richard Vyvyan inherited his father's title and all his freehold estates in January 1820. He would have been 46 when he commissioned Tremayne Quay and 47 years old when the party food prepared for Queen Victoria's visit started to go off. In between becoming the eighth Baronet and building Tremayne Quay, Sir Richard embarked on a hugely successful political and scientific career. When he was only 24 he became Tory MP for Cornwall and was tipped by some Tory party members to be a future Prime Minister. His political career spanned over over 34 years during which time he held four West Country constituencies and the position of Sheriff of Cornwall. By his own account he was courted by all political parties, indirectly consulted by two British sovereigns, and in communication with the first foreign statesmen in the world. He was probably the most influential Cornishman of his time. Given Sir Richard's position within the upper echelons of society and the fact that he was an eligible bachelor, it is hardly surprising that he could have met and fallen so heavily for Queen Victoria's eldest niece, Princess Elise. Queen Victoria only had three nieces, all of whom were daughters to her half sister Princess Feodora of Leiningen. Interestingly, Queen Victoria's mother Princess Victoria of Saxe-Coburg-Saalfeld had two children with her first husband but unfortunately he died and she then went on to re-married Prince Edward, Duke of Kent. Queen Victoria was the only child from this second marriage and became Queen when her grandfather George III died, only days after loosing he father. If Sir Richard had fallen heavily for Queen Victoria's eldest niece, Princess Elise, she would only have been 17 when Queen Victoria planned a visit to Trelowarren. Sir Richard would have been 47. Was this the princess that Sir Richard had "fallen rather heavily for?" If this historical reference is correct, Elise's younger sister's would have been far too young for Sir Richard to have crossed paths with on a romantic level and roused a suitability visit from their aunt, Queen Victoria. Whilst a 30 year age gap between Sir Richard and Princess Elise might be unusual, it is not an impossibility, after all he was a charming and influential man and she a beautiful and influential young woman. Elise's mother hated the trappings of European royal life and longed for personal freedom and space. Maybe it is just a romantic hunch to think that Princess Elise found all of these qualities in Sir Richard and his family home on the Helford River in Cornwall. It is well documented that Queen Victoria was devoted to her sister Feodora, whom she granted an allowance of ?300 whenever she could visit England. Could Sir Richard have ever met Feodora on such a trip and been introduced to her beautiful daughter Elise? Surprisingly there is no further evidence to substantiate a relationship between Sir Richard and Princess Elise beyond the building of Tremayne Quay on the Helford River. Certainly not from information readily available online. A love story in the making or a fallacious relationship? 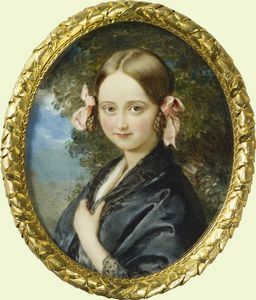 Sadly Princess Elise died on 27 February 1851, unexpectedly at the age of 19 from tuberculosis whilst on a trip to Venice. Sir Richard Vyvyan never married. He withdrew from politics in 1857 to live complete retirement at Trelowarren. He was a geologist, a metaphysician and had 'a most choice library' of which he made 'a very scholastic use' and took special delight in the woodlands of his domain. 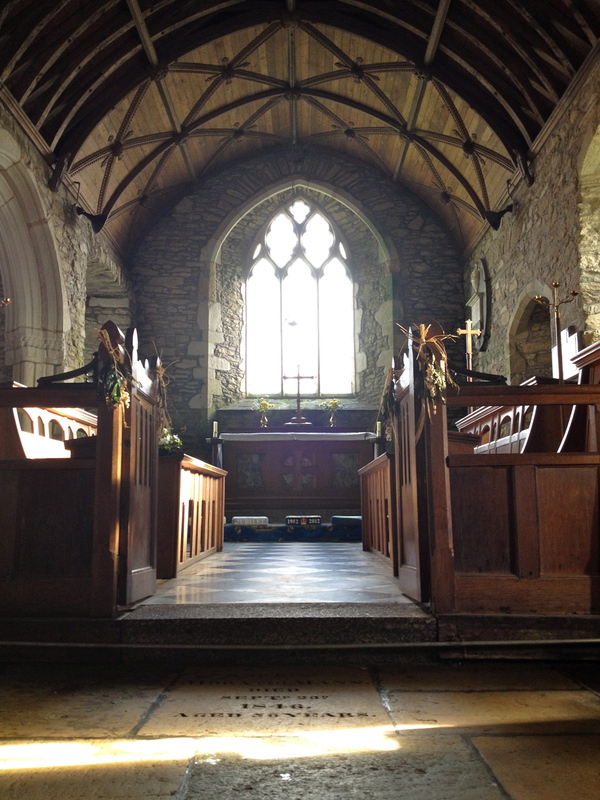 Sir Richard Vyvyan died at Trelowarren in 1879, and is buried in the family vault in the north-west corner of Mawgan church. He was succeeded by a nephew. Interestingly when I called the Trelowarren estate to speak to a member of the current Vyvyan family no further detail could be added about the relationship between Sir Richard Vyvyan and Princess Elise and the building of Tremayne Quay on The Helford River. Only the name Feodora could be recalled. Apparently all of the Baronet's personal diaries are written in code which to this day remain unbroken. Tremayne Woods and Quay were bequeathed to the National Trust in 1978 from the 12th Baronet Sir John Vyvyan of Trelowarren so that the nation could enjoy this picturesque spot on the Helford River. Author: Alison McGregor, Lizard Peninsula Holiday Cottages.